The gorge is accessed via the Great Ocean Road, 3.5 km northwest of The Twelve Apostles. Stairs allow visitors access to the beach and a pathway allows access to the eastern side of the gorge. There are numerous plaques and a small museum detailing the site's history, as well as a rest area, and cemetery housing many of the people that died. 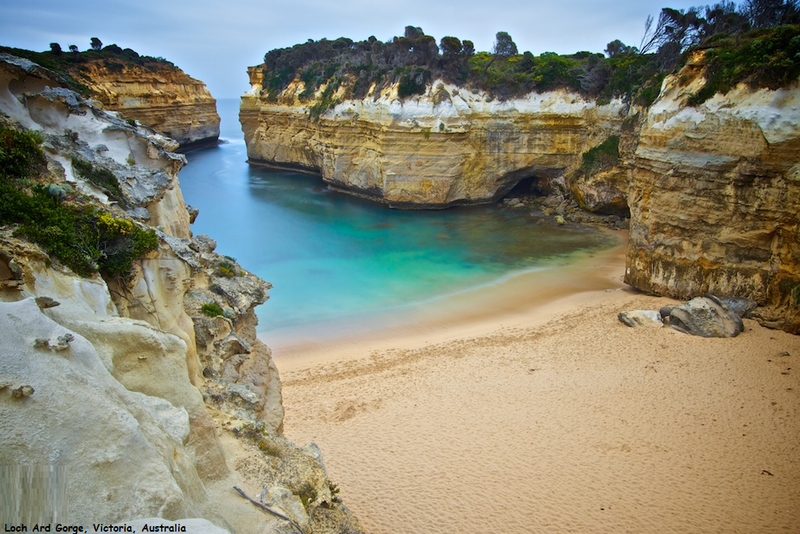 Loch Ard Gorge is a treasure trove of natural beauty, coastal wilderness and maritime history. Take some time to wander the trails, exploring the blowholes, offshore limestone stacks and towering cliffs.